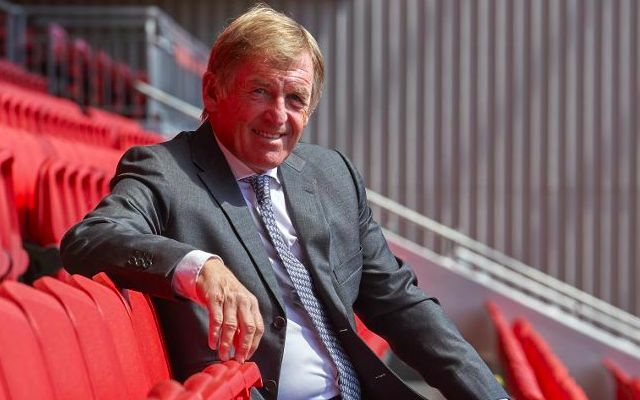 Virgil van Dijk has Sir Kenny Dalglish’s phone number and receives support from our greatest ever player via text! The world’s best central defender has explained how comfortable he feels at the club, partly because of the role our legends play in helping new signings settle. “Kenny Dalglish gave me his mobile number in the very beginning and told me to ring him at any time,” Van Dijk told the club’s official website. “It is unbelievable when he sometimes sends me messages before games. That is what Liverpool is about. “Like most clubs, Liverpool have some private boxes for players available. I have my own box for my family here. To get there, you have to walk through the boardroom. It’s great that former players, who’ve had their heyday, still care enough to contribute to the current set-up. Van Dijk has looked the part ever since his debut, in which he scored against Everton just over a year ago – and hasn’t looked back since! Now, he’s regarded as the best in the business, although wouldn’t have been used to seeing three goals conceded at Anfield, as they were on Saturday v Crystal Palace. We’re pretty sure with Joe Gomez returning very soon, the Englishman will partner the Dutchman at the back and we’ll be racking up clean-sheets with regularity again.